Deprecated: __autoload() is deprecated, use spl_autoload_register() instead in /mnt/web305/a0/12/5148412/htdocs/SPIELZEUGBASAR/wp-includes/compat.php on line 502 Deprecated: Function create_function() is deprecated in /mnt/web305/a0/12/5148412/htdocs/SPIELZEUGBASAR/wp-includes/pomo/translations.php on line 208 Deprecated: Function create_function() is deprecated in /mnt/web305/a0/12/5148412/htdocs/SPIELZEUGBASAR/wp-includes/pomo/translations.php on line 208 Deprecated: Function create_function() is deprecated in /mnt/web305/a0/12/5148412/htdocs/SPIELZEUGBASAR/wp-includes/pomo/translations.php on line 208 Deprecated: Function create_function() is deprecated in /mnt/web305/a0/12/5148412/htdocs/SPIELZEUGBASAR/wp-includes/pomo/translations.php on line 208 Deprecated: Function create_function() is deprecated in /mnt/web305/a0/12/5148412/htdocs/SPIELZEUGBASAR/wp-includes/pomo/translations.php on line 208 Deprecated: Function create_function() is deprecated in /mnt/web305/a0/12/5148412/htdocs/SPIELZEUGBASAR/wp-includes/pomo/translations.php on line 208 Keine Verkäufernummern mehr für den Frühjahrsbasar!  – Spielzeugbasar Wächtersbach e.V. Keine Verkäufernummern mehr für den Frühjahrsbasar! Die Nummernvergabe für den Basar, der am 6.4.2019 stattfindet, ist beendet. ← Zurück Vorheriger Beitrag: Alle Rekorde gebrochen!